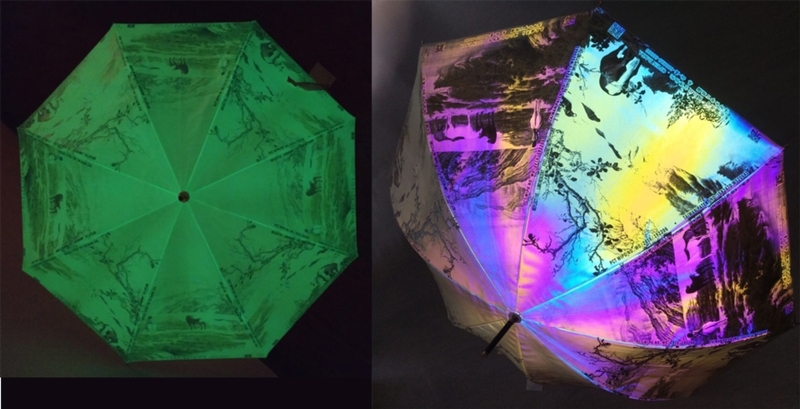 Nov 12, 2018 | By CENS | GIFTSTART TRADE MARK DESIGN INC.
By taking advantage of its patented technology that was previously applied to a gigantic traffic sign mounted on an entrance truss of the New Taipei City Government-organized Pingxi Sky Lantern Festival earlier this year, Giftstart Co., Ltd. has recently rolled out yarns, fabrics and accessories that can generate colorful-reflection, glow-in-the-dark, and pattern-variable visual effects that they can integrate into their desired products. The unique technology is patented by Giftstart Managing Director Mr. MOIL Y.C. SHIH with PCT WIPO (World Intellectual property organization) NO. :WO2016/192206 and NO: I582470:M520641 of Taiwan. 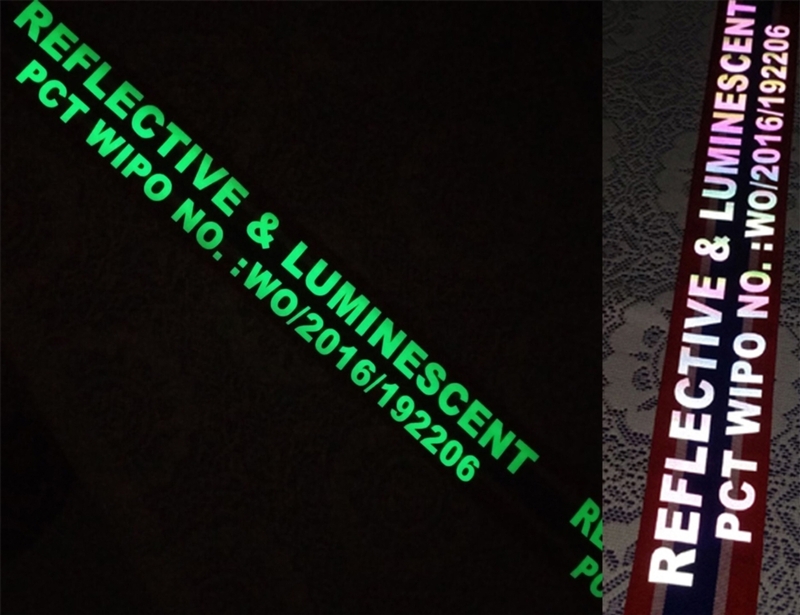 Also, introduced based on the technology include reflective treatment that can generate “colorful refection and luminousness in the dark”; reflective T/C-based fabrics, stretch fabrics and piping that can glow in pitch darkness and shine in colorful light. The yarn is applicable to various sewing threads, knitted fabrics, woven fabrics, straps and ropes for various industries, including clothing, footwear, sock, bag, home furnishings and furniture, among others. The fabrics they offer are also available for various knitted and woven fabrics including stretch fabrics and waterproof fabrics. Materials integrated with the technology can reflect, absorb and radiate light. 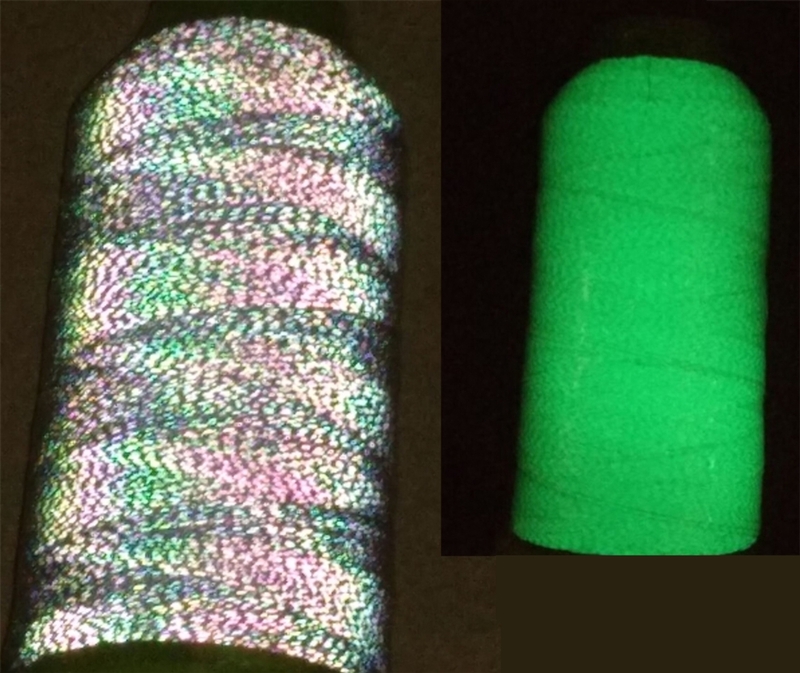 Consequently, the material can glow in the dark by itself after absorbing enough light. Its colorful reflection enhances pedestrians' or vehicles' visibility and thus safety in addition to better aesthetic appeal than the simple white-light reflection. Excellent light-absorption and luminousness performance makes the material an energy-saving light source and enables the material to generate less light pollution than streetlights do. When extensively applied to traffic vehicles, personal items, and public sites, the film can help boost the efficiency in emergency escape, disaster relief, public safety, and energy conservation. Also, the technology can be applied to a vast variety of materials, such as textile-based materials, nonwoven materials, leathers, plastics, rubber, paper, wooden materials, metals, apparels, cases, bags, vehicles, airplanes, hats, footwear, socks, umbrellas, boxes, labels, stickers, adhesive tapes, raincoats, traffic signs, signboards, posters, TV screens, computer monitors, displays, LCD panels, and so on. For more information, please refer to Giftstart web site: www.giftstart.com.tw, or contact them by 886-2-25521977 and E-mail: gst@giftstart.com.tw.